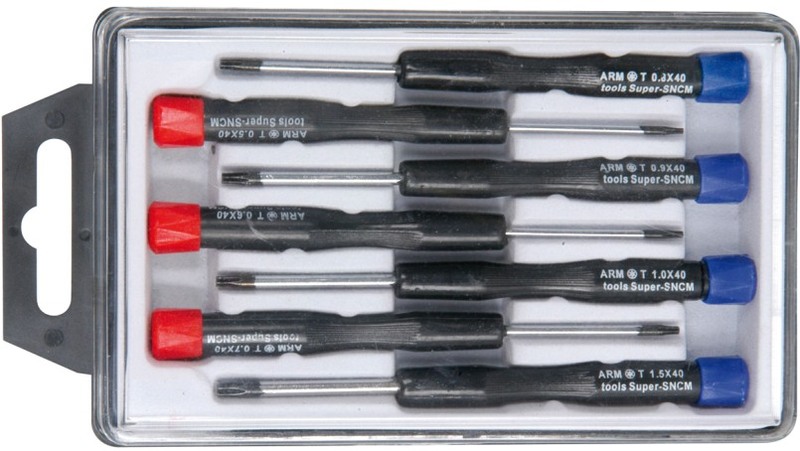 Seven piece Torx* driver set. Hardened and tempered steel blades with black tips and nylon handles with revolving tops. Supplied in plastic case with clear lid.